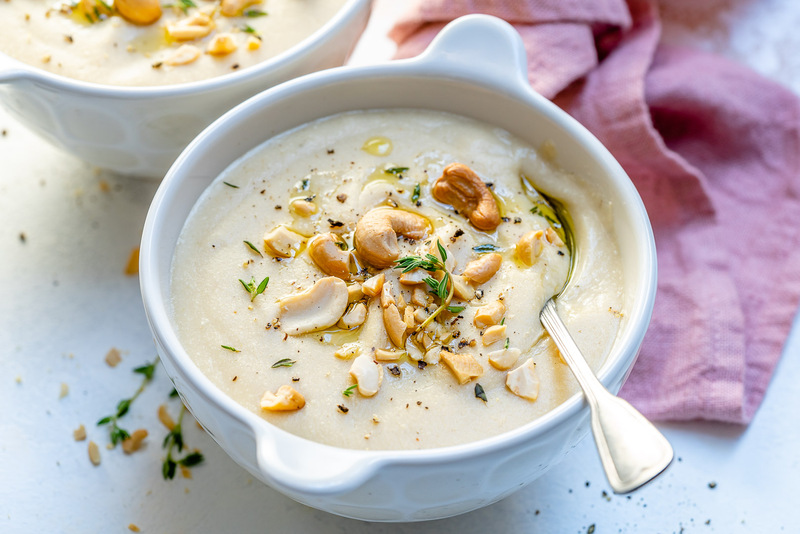 Creamy Cashew Cauliflower Soup for Cozy Clean Eating! 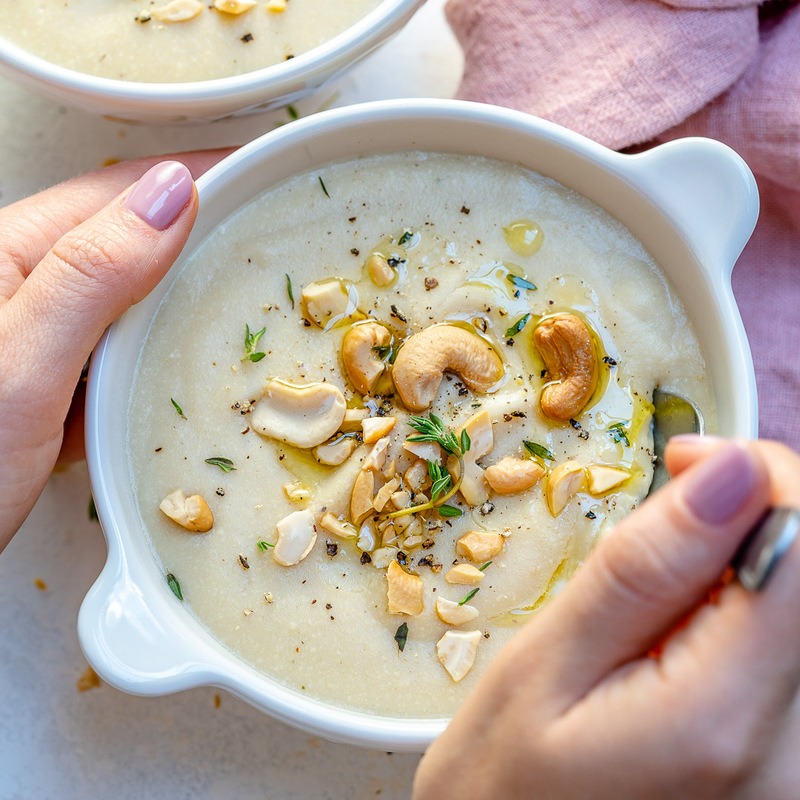 Place 1/2 cup of cashew and 1/2 cup of water in a microwave-safe bowl; cover and microwave on high for 3 minutes; allow to cool. 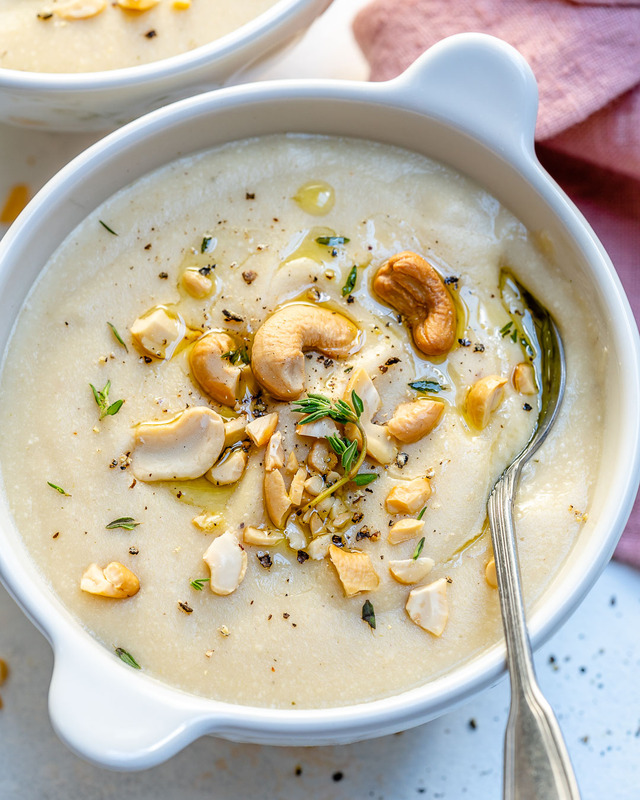 Transfer cashews to a blender, add 1 cup of your broth and blend until very smooth to make your cashew cream. 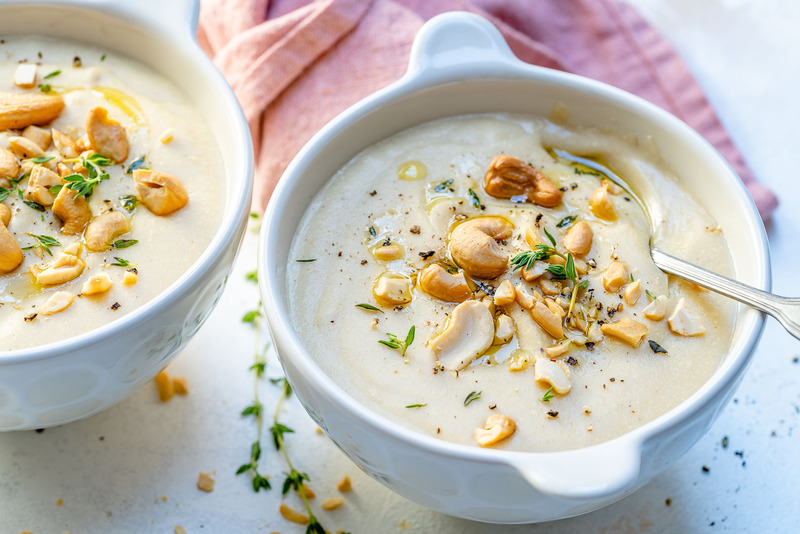 Toast 1/2 cup cashews on a baking sheet, in your preheated oven until golden, about 5 minutes; chop and set aside. Melt clarified butter or ghee in a large pot over medium-high heat. Add diced onion and saute until golden and softened 3-4 minutes. Add cauliflower, potatoes, garlic, thyme, oregano, and cook, stirring, for about 5 minutes. 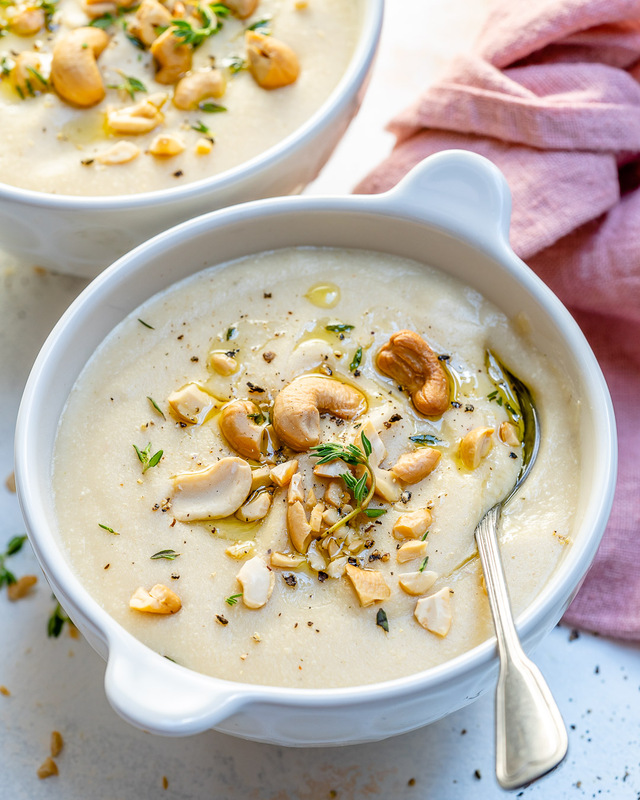 Add in the remaining broth and bring to a simmer and cook, for 12 minutes, or until cauliflower and potatoes are fork tender. 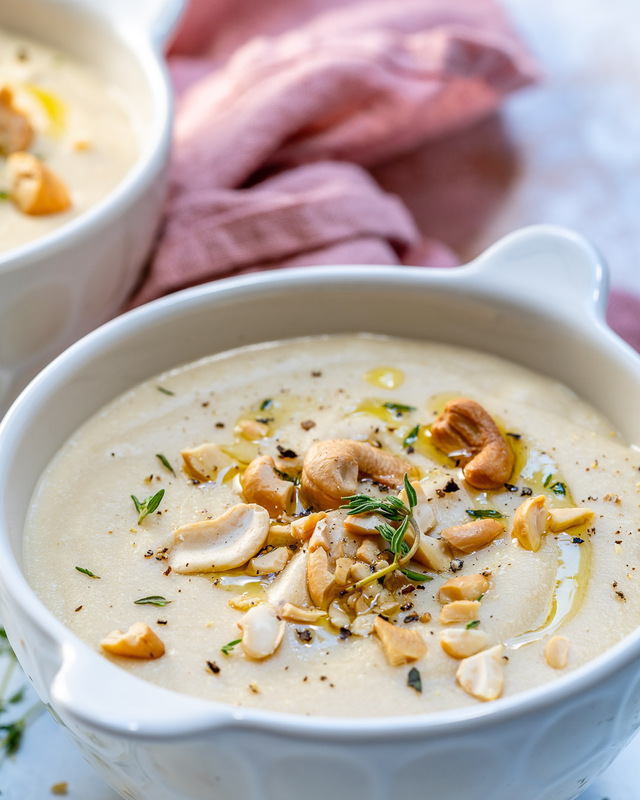 Serve soup hot topped with toasted cashews, and garnished with fresh thyme. Enjoy!